A winter flush of poetry is at my door – all of it from publishers on this continent, all of it sharpening the edge of language, subject matter and form, and all of it good and fresh in its own way. Bella Li’s Argosy (Vagabond) is a feast. 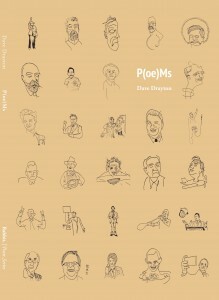 The collection is enjoyable in its many forms – a weighty object, a visual story through which to thumb, nimble verse. At the Emerging Writers’ Festival, Li joked about printing out reams of paper in search of a good beige. This particularity extends to every other detail in this book. At its granular level is where Li’s knack pays off. Argosy is about 170 pages long. Its first 101 pages (‘Perouse, ou, Une semaine de disparitions’) detail water vessels and human movement and world-making with waxy illustrations and natural or inorganic collage. I read it as a visual poetic of tensions between migration and establishment. Cold draughts of a morning – wake, but do not rise. Cold stealing out of the night when the wind. When it falls beneath. Paying in salt, paying in sleep. You collect the debt. You move. That refrain is peppered throughout the series. Argosy also features (what I think is) chaptered microfiction. ‘The Hundred Headless Woman’ is a suite of stories in various styles and traditions in writing about gender and femininity (memoir; speculation; criticism; horror). Like all of Argosy, it is lingering, painstaking, experimental and damn good in a risky and ambitious multimodal form. 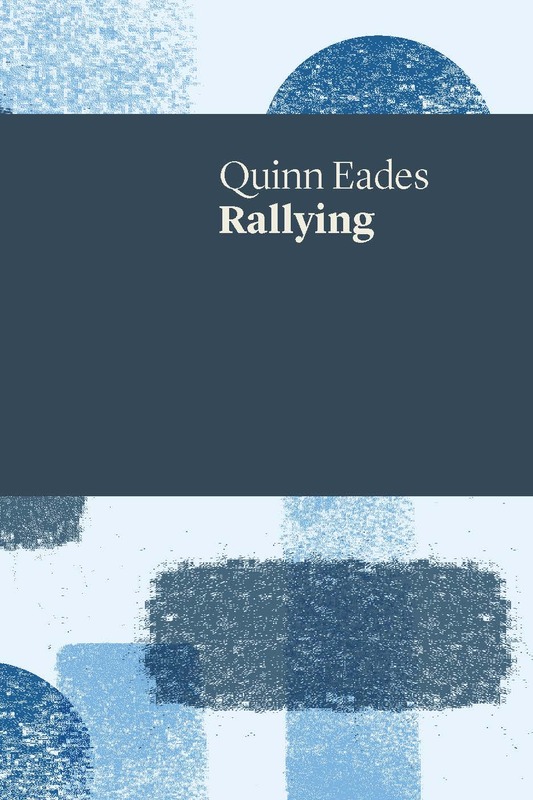 In Rallying (UWAP), Quinn Eades writes about writing: this book, and an earlier work. His labour of creativity is made bare amongst a sea of other labours (self-making; child-bearing; community-making) is at its fore. Although the practice of writing about writing can be tedious, often failing to stand alone from the text whose process they try to capture, Rallying is not. It is clear-eyed, frank, and sits in neatly with renewed attention to invisible or devalued gendered work. Eades writes elastically among the memory of writing and writing memory, and although Rallying is an account of his own life, it cannot be accused of being self-indulgent or self-centred. On the contrary, the writer Eades makes on the page is enthrallingly precise in the way it looks outward to write the personal. In the Alfama there are always cigarette butts between paving stones. A man waits until he has passed me to spit. …In the Alfama I crouch in laneways to write. No one finds this unusual. Rallying pulls no punches. It’s a cliché, I know, but apt for a collection that is as much about creating as a bodily exercise, much as it is a cerebral one. And it reads like a direct bodily read – from poems ‘Rallying’ (where bodies and genders are things to depict, reflect and recount) to ‘Salt Remembers’ (where Eades’ depictions, desires and memories are electrolytes). 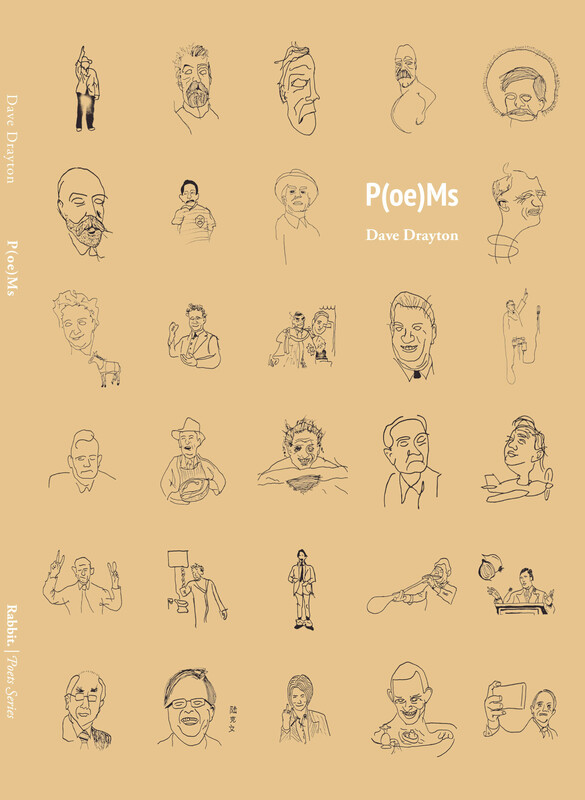 A complete* collection of Australian Prime Ministers, Dave Drayton’s P(oe)Ms (Rabbit) is the neat, satisfying, wordplay that haters of poetry (and I) often forget is its benchmark. These kinds of engaging, playful works are increasingly coming from younger poets – politically and technologically on top of it, and very present. Or is that prescient? Anyway, P(oe)Ms is funny. Very. Every PM’s name is stripped of its dignity as a public record or memoriam (nice), dissembled (nice), and its letters rearranged into a poem on their life or legacy (nice). Oh, and it’s illustrated, or at least caricatured. Ministerial revelations in P(oe)Ms are often surprising, or sometimes predictable but affirming in surprising ways. Barton was remembered with a gambling sheet; Chifley by the butcher who, by unhappy tyopgraphical luck, was forced to field many wrong number calls for the PM. No prizes for guessing what Holt’s poem was about, but why did I relish Drayton’s account of Curtin’s death so much? Howard, Rudd and Gillard’s poems go familiar places (albeit ruthlessly), but given our collective reeling from that decade and a half, that’s almost cathartic. * Assuming no new knifings before this goes to print. More poets still are taking poetry where it’s thought to not often go – Tanya Thaweeskulchai’s A Salivating Monstrous Plant (Cordite) was written first as a performance script. It slips in and out of this role as a record of an embodied text – not always gracefully, but in a way that is consistently compelling. Because of that, it can be a jarring read. This is its cutting edge, if the reader is ready to read it as a text independent of, but also partly a record of, Thaweeskulchai’s body and performance. A Salivating Monstrous Plant has a body of its own. It is either one long poem, or a series of five long poems with titled pages. Or is it a suite of rolling microfiction? Whatever it is, Thaweeskulchai’s structural style is consistent without being rigid. 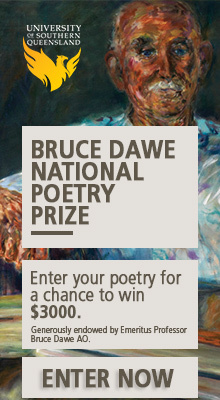 That it straddles form in so many ways (including in voice, technique and pacing shifts even within its stanzas) bewilders, but also entices me. There is not a fear to be spoken of, the controlled body unlike fire sliding down the shoulders, causing it to move, to wake; it becomes lukewarm, comforting, and gets carried away before it gets stuck, starts to panic and shuts off everything…its eyes cloudy and unseeing of the cloth that drags and clings to the floor, off-white and heavy, hauling along it with this boneless body made of rubbery flesh. Call in the morning to check in on me. Alison Whittaker is a Gomeroi multitasker from the floodplains of Gunnedah in NSW. Between 2017–2018, she was a Fulbright scholar at Harvard Law School. Both her debut poetry collection, Lemons in the Chicken Wire, and her recent collection, Blakwork, were published by Magabala Books. Thanks for the reviews. I’d be interested to know if the Drayton book is bouncing off Jackson Mac Low’s “The Presidents of the United Sates of America”. Sounds interesting. 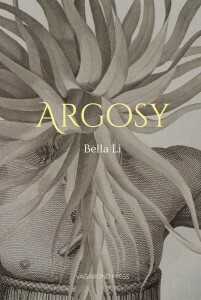 And Argosy…yes, go Bella! All the Liberal / Labo(u)r // Republican / Democrat Presidents’ / PMs’ Men? Nothing more political than voting LL / RD I guess. Ahh…thank you. I’ve always depended on the kindness of strangers. I just tried to buy the book through the Rabbitonia website and alas, no sale possible cos “can’t verify security” (I dunno what that means in the online landscape of book buying). Jess!!! Poetry on the margins in so many ways…& if anyone cares, Lonnie’s Lament by Ken Bolton is an ace read. I like Bolton’s deliberation on whether reading the LRB is a purely middle-class activity. Bit like ABR I guess.